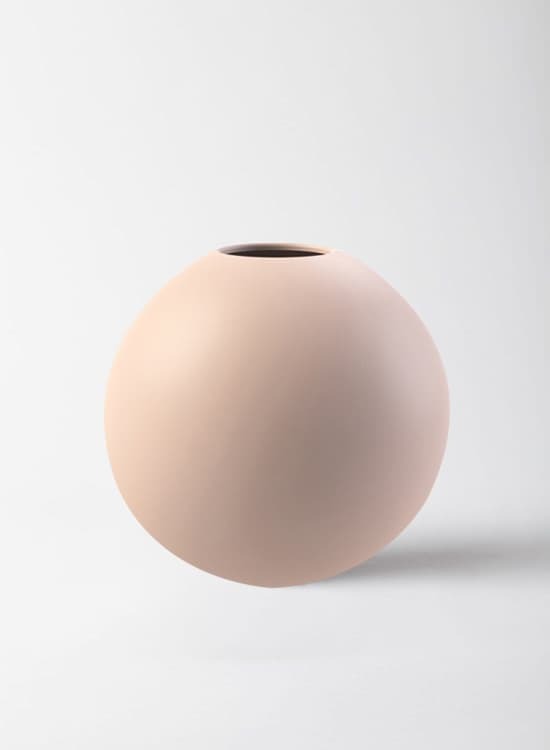 This pink ball vase is part of our beautiful new product range from Swedish designer label, Cooee. These vases have a unique edge and are handmade in porcelain with a hand-painted matte finish. The vases also have tactile appeal with their soft, smooth, silky feel.